Calling all book clubs! 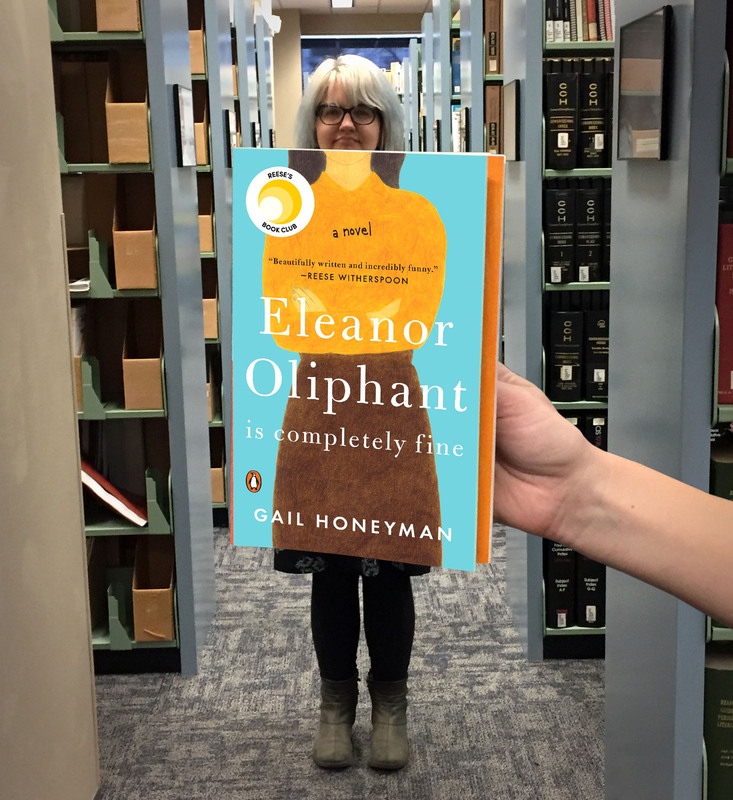 Check out “Eleanor Oliphant Is Completely Fine: A Novel” by Gail Honeyman (Penguin Books, 2018). If it’s good enough for Reece Witherspoon, it’s probably good enough for me. As a NEW YORK TIMES bestseller and a Reese Witherspoon Book Club Pick, this is the perfect choice for your next read. I found Eleanor the perfect antiheroine, hilarious and awkward with a heartbreaking past. This novel is a part of our NLC Book Club Kit collection, and can be reserved for your book club to read today! This week’s #BookFaceFriday model is NLC’s Interlibrary Loan Staff Assistant, Lynda Clause!